Why You Should See The Manta Cleaning Stations of Palau? Wondering why you should not touch marine life while scuba diving or snorkeling? In this article we explain why you shouldn't and why it can be dangerous for you and the animal. Ever heard about bioluminescence, but don't know what it is or why it is pretty cool? In this article we explain more about Bioluminescent algae and we added an awesome video too. This video shows an epic struggle for life between a green moray eel and a young white tip reef shark. You will not believe the outcome of this epic struggle! This is a must see! Have you ever seen a Octopus "walk" on 2 arms and at the same time resembling plant matter? Well we have the video to proof it.. Looking for random facts about sea horses? We created a comprehensive list of 10 facts about seahorses + 1 video of a pregnant male seahorse. Dangerous marine animals can be found all over the world from deep oceans to shallow reefs. Dont touch any marine life it will keep the animal comfortable and you safe. Wondering where in the world you can dive with Manta rays? This article explains where to find them and what the best time of year is to go and find these majestic creatures. 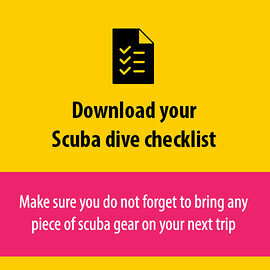 Would you like to know more about Muck diving? This article explains what it is what you can find and highlights some of the best muck diving locations in the world. Looking for the best spots in the world to encounter big marine life? We created a list with arguably 5 of the best spots around the world. Nudibranchs A Colorful and Diverse Critter, But What are They? Ever wondered what a nudibranch exactly is? Many scuba divers love this little critter and search form them while scuba diving. We explain a bit more about the Nudibranch. On our dives in New Zealand we encounter many species of Moray eels. Sometimes they are hidden but always a great subject for a great underwater picture.